If you constantly work with metal you will normally have to join various pieces of metal together. Even if that is not the case you will find that you have pieces of metal with either very sharp or very rugged edges. This is where an angle grinder comes in. A grinder is used to smooth out those rough seams and edges and this is done to improve handling of the item and to avoid any potential injury.Angle grinders are also used to cut out unwanted portions of metal. This hand-held tool consists of a handle and motor design that rotates a spinning disc and the grinders are either powered by electric motor, compressed air or gas engine. 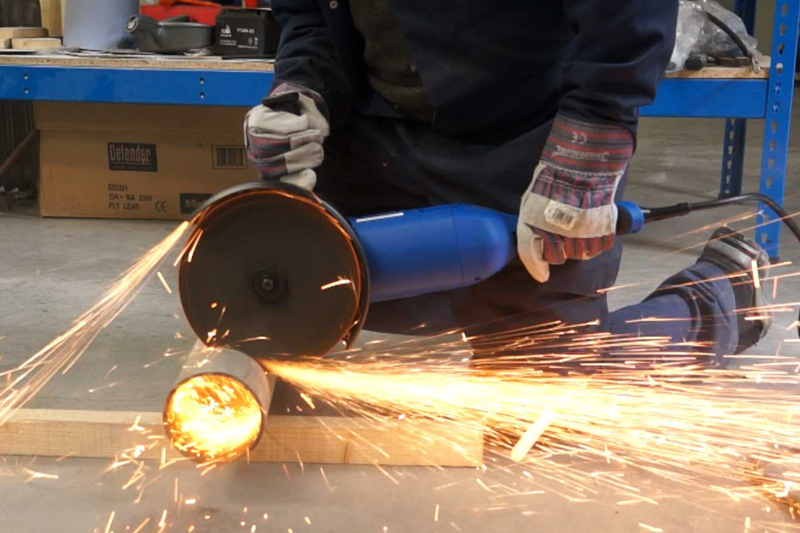 The angle grinder is speed adjustable and directionally adjustable as well which means that you can use it in a variety of positions. A variety of spinning discs are available for various functions, for instance to cut or smooth out stone surfaces you use the disc designed for use on stone. In the case of metal you use the disc designed for metal and so on. Simply put, the grinder is a must have for you especially if you love working with metal or even for various small tasks around the house. This is an angle grinder with an Aluminum case. It has a 4 to 41/2 grinding wheel and uses a diamond wheel. It has both and DC and Ac power connectivity for alternative power sources and has a power cord which uses standard US 120V. It has a standard continuous off and on switch position for continuous use and a small diameter grip for easy use and handling, the grip is only 2-1/2 inches. It has a 7.5A motor for more power encased in a small compact fashion. 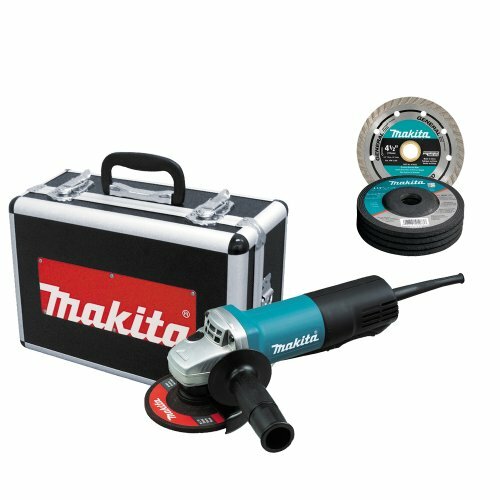 The Makita has thicker coil wires which are more closely wound to reduce heat and energy loss and a metal gear design as well as all-bearing design for durability. The paddle switch is quite large for better comfort during operation. This grinder also has protective zigzag varnish for protection from dust and debris of the armature as well as ensuring longer lifespan for the grinder. The shipping weight is 11.8 pounds. 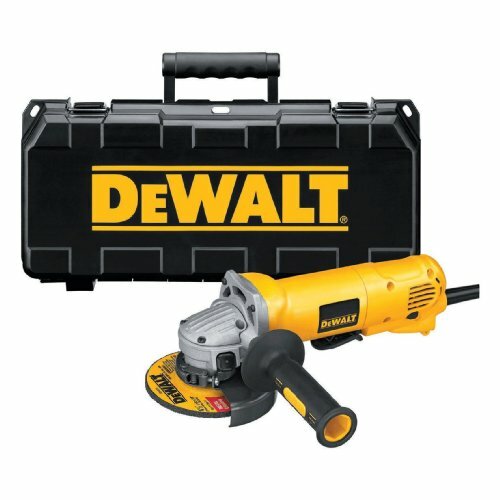 This is a great grinder from the legendary power tool makers Dewalt. It has a 10A 1.9HP motor that delivers up to 11000 RPM. It features a system for ejection of dust that is actually exclusive to Dewalt. This protects the internal components from damage from debris and dust. It designed to be quiet during operation and weighs 8.6 pounds based on shipping weight. It uses US standard 120V voltage so you won’t need an inverter. It is designed for easy changing of the grinding disc by use of a spindle-lock button. This small grinder also has a keyless adjustable guard that will make it easy for you to tune it easily. Compact body makes it easy to use even in those small spaces and tight spots. The paddle switch component weighs around 4.6 lbs by itself. 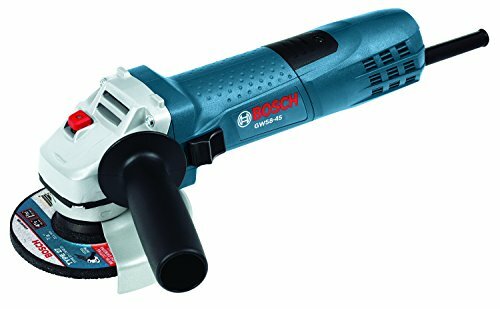 This Bosch grinder is a great power tool. It weighs around 5.6 pounds and it has a 1HP 7.5A motor which uses standard US 120V voltage. It is a 4 ½ inch grinder which is great for professionals who need sturdy and effective tools on a daily basis. The reason it is called slim is because the motor has a very small field diameter. However, the slimness has not affected its output and the motor is still quite powerful with an output of 11ooo RPM. This ensures that you can cut and grind through anything be it concrete or metal. The grinder is designed for use over long hours. The grinder employs an efficient air flow system that ensures that dust, dirt and debris does not damage inner components, this enhances durability. The grinder weighs just 4.2 pounds which is quite light for such a powerful machine. It is very sturdy and doesn’t break even after accidentally falling. It also comes with a concrete cutting disc in the package.